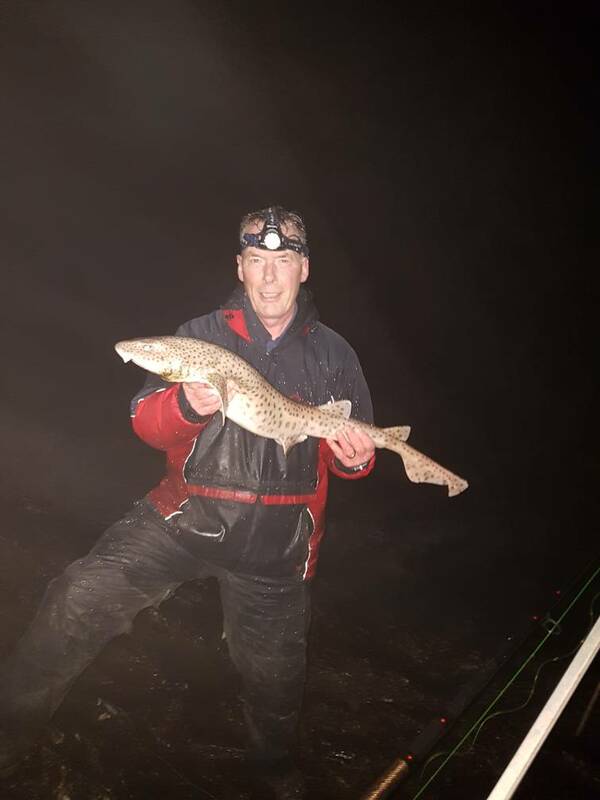 A deep water rock mark where the usual suspects will be taken...can be snaggy in places but that`s what brings the fish in.Expect conger,huss and 3 bearded rockling on big squid/mack baits...pollack and wrasse should show from spring onwards and bass must be around too. It`s a 15 min walk from the parking spot. ....turn right at the bottom of Porthdafarch Rd and after 1/2 mile turn left and follow the narrow road and take the second road on the left (signed as a dead end) and park at the end. walk back up the road and turn left,then just at the bend of the road you will see a well worn path ...follow that and bear to the right...path gets a little boggy for a short section but nothing too bad...once near the sea you will see a fence on the right,go around that then walk down to the sea.